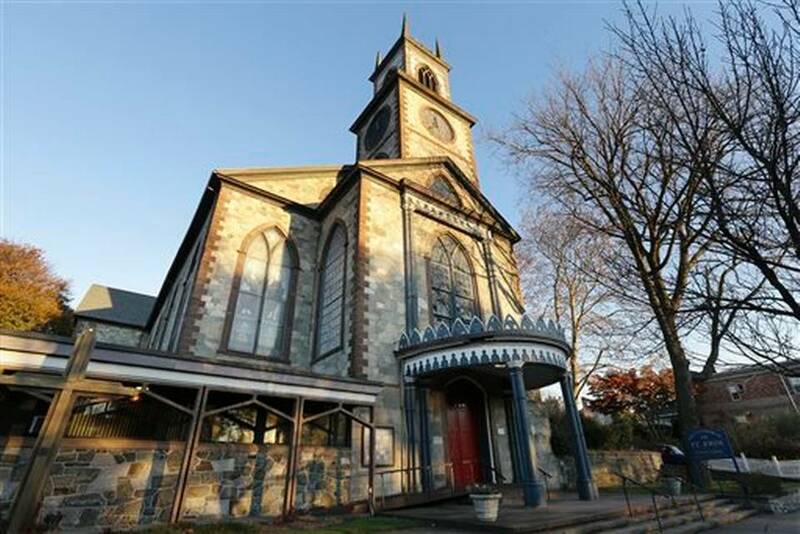 Diocese officials approved the museum and a reconciliation center at a convention in Portsmouth, RI, earlier this month, according to the Bulletin. 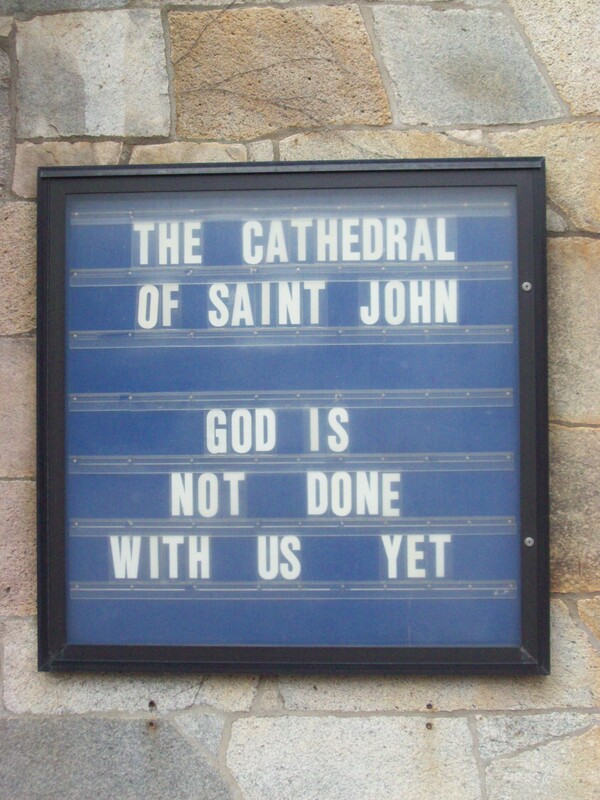 Message on front of Cathedral of St. John’s, Providence, RI. “The ship building and shipping industry in Rhode Island were major players in the slave trade and much of Rhode Island’s economy was built with the profits of that trade,” Bishop Nicholas Knisely told those gathered at the conference. James DeWolf Perry, executive director of the Massachusetts-based Tracing Center, said that the North’s role in slavery has largely been forgotten or overlooked. The Tracing Center was set up by descendants of what was once the nation’s most prolific slave-trading family, the DeWolfs. Perry’s great-grandfather was bishop of Rhode Island and chose St. John’s as the diocese’s cathedral. He served as the denomination’s presiding bishop – its leader in the United States. In fact, the North benefited economically from slavery, and the Episcopal Church “institutionally was deeply complicit in slavery, benefited from it,” Perry said. The cathedral, a church where slaves once worshipped, would explore how the church benefited from the trade and helped bring it to an end, Knisely said. The diocese is working with the Tracing Center and Brown University. Diocesan officials emphasize the plan is still in the early stages. They don’t yet have a way to pay for converting the Gothic Revival-style structure, and they’re not sure what they want the museum to look like. The cathedral has been closed for 2-1/2 years and a glimpse at its outside shows it’s in need of substantial repair. It façade is in need of renovation, the roof requires repair and a handful of windows are missing, meaning interior restoration is likely necessary, as well. Still, the cause appears a worthwhile one. Most Americans do not understand how deeply involved the colonies and early United States were in the trans-Atlantic slave trade, said David Blight, director of the Gilder Lehrman Center for the Study of Slavery, Resistance, and Abolition at Yale University. Blight urged organizers to pull together a strong team of historical advisers. 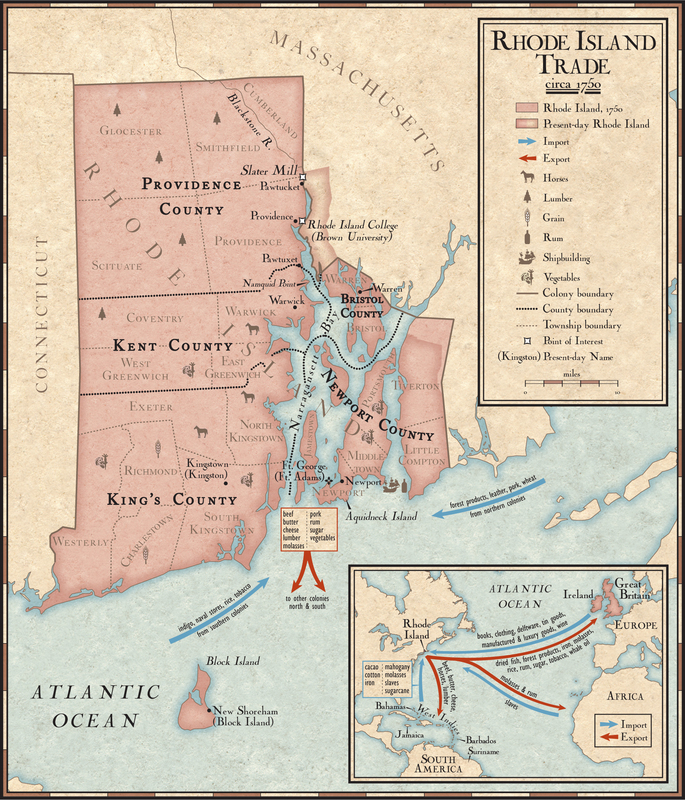 Maps showing Rhode Island trade in 1750. Inset map includes slave trade by Rhode Island ships. Source: National Geographic. I hope they find the funding to get this project off the ground…though it looks as if the lion’s share of that will go to restoring the building…as the North’s participation in the slave trade has become submerged by the propaganda following the Civiil War. It would make for a fascinating and long-overdue focal point for those in the US to examine the roots of slavery in North America. It’s too simplistic for those in the North to simply assume that the South was solely responsible for slavery in colonial and Antebellum America. Of course, as you note decades upon decades of propaganda have greatly obscured the complete picture. Well that sounds like controversy waiting to happen. Naughty northern slavers and evil episcopalians? Time for flak jackets. Oh, there certainly were some in Providence who didn’t take to kindly to the idea. Some were offended as Rhode Islanders, others as Episcopalians. And, more likely than not, some on both counts. Folks like to read about the blackguards of history, as long as they come from somewhere else. Thank you; I thought so, as well.